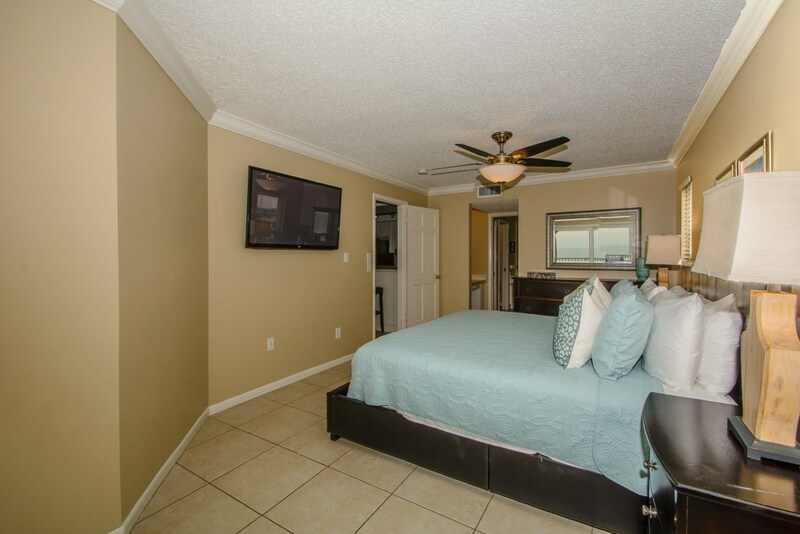 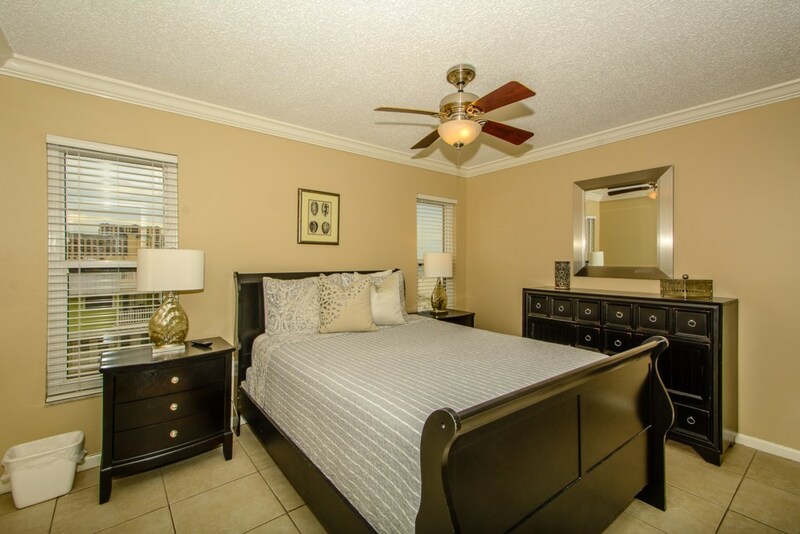 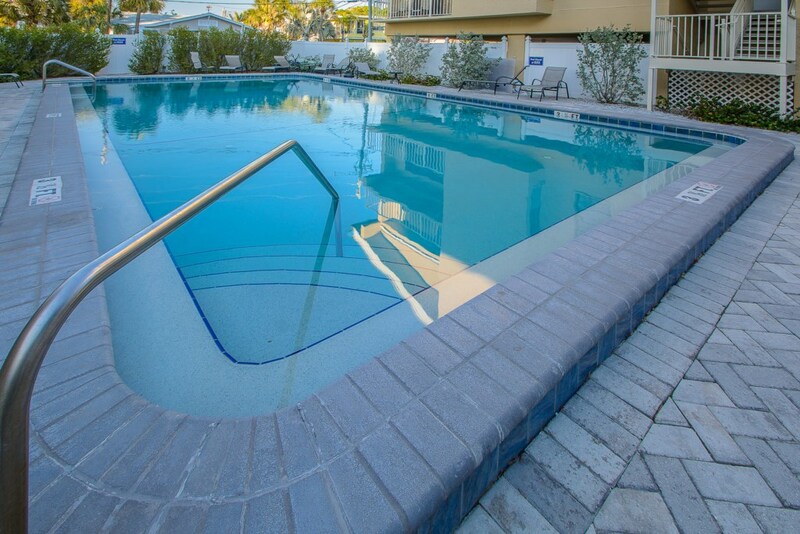 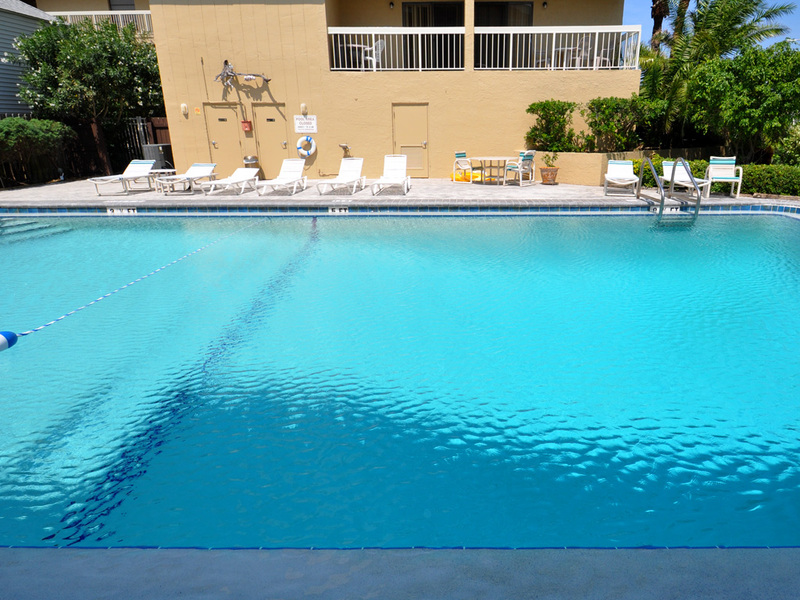 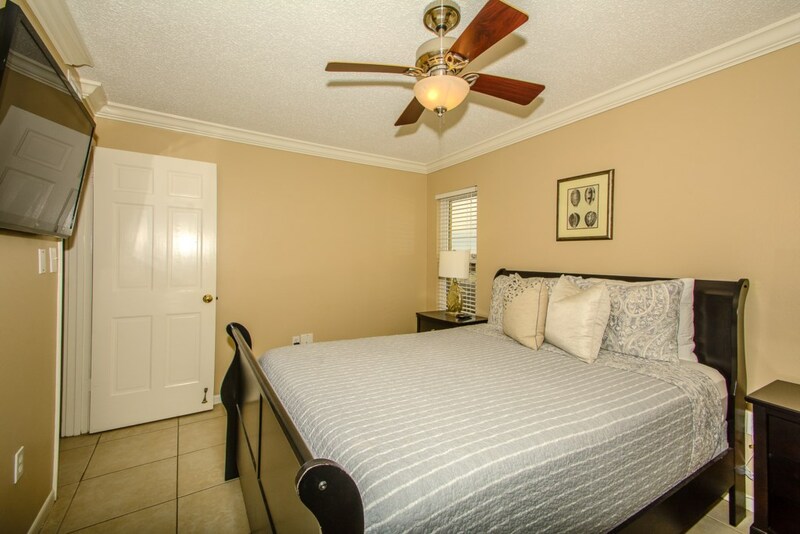 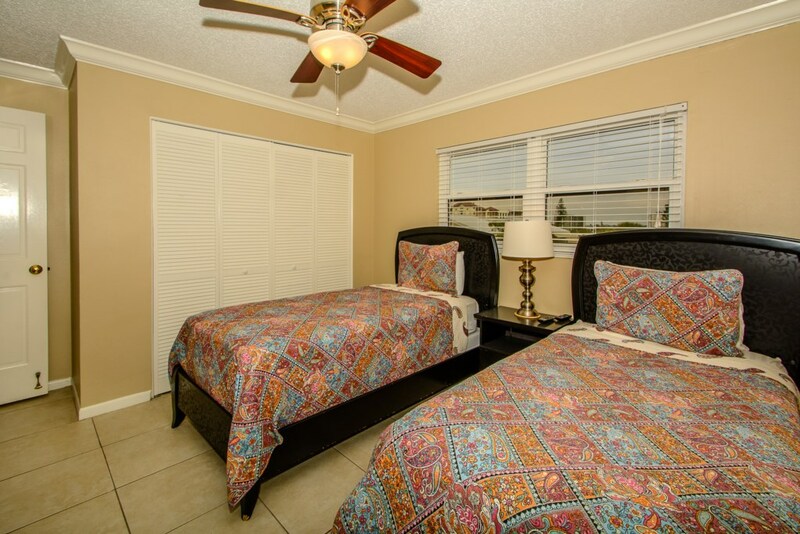 This vibrant 3 bedroom and 2 bath unit is one of a kind as it has unique details and touches making it a deluxe rental. 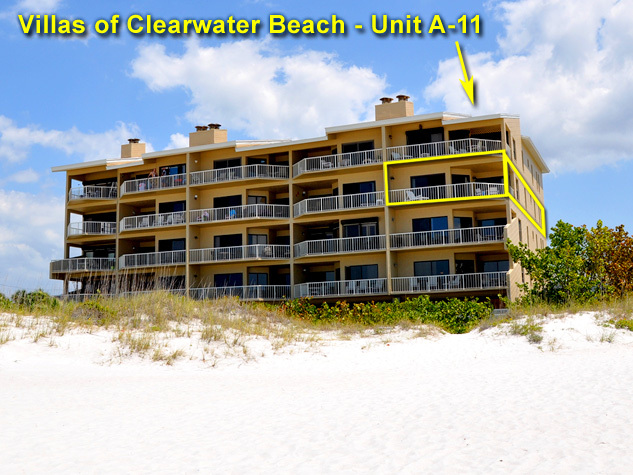 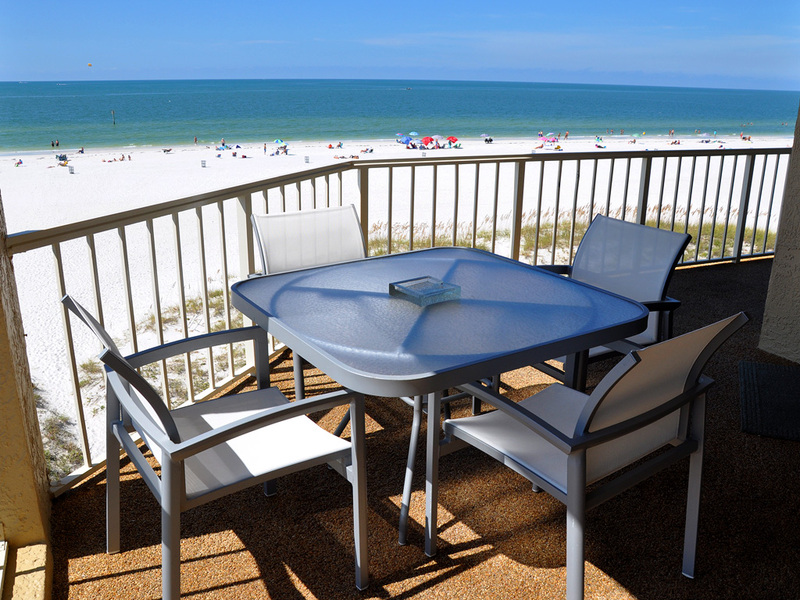 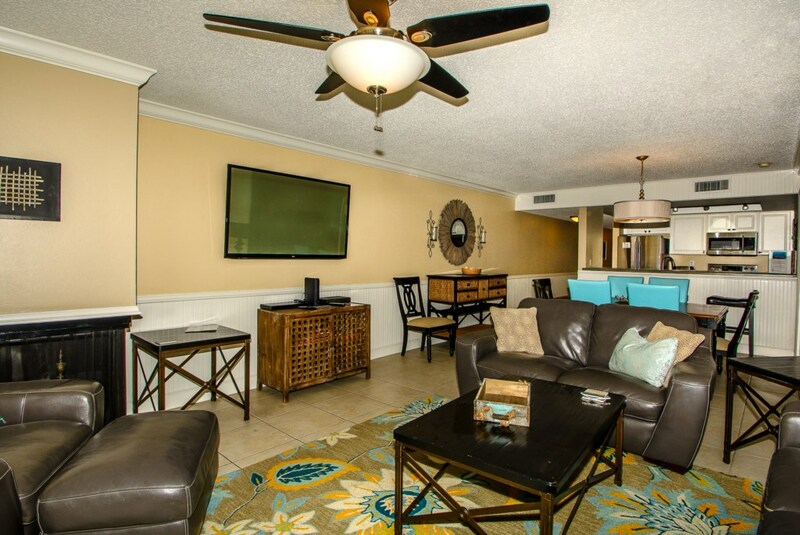 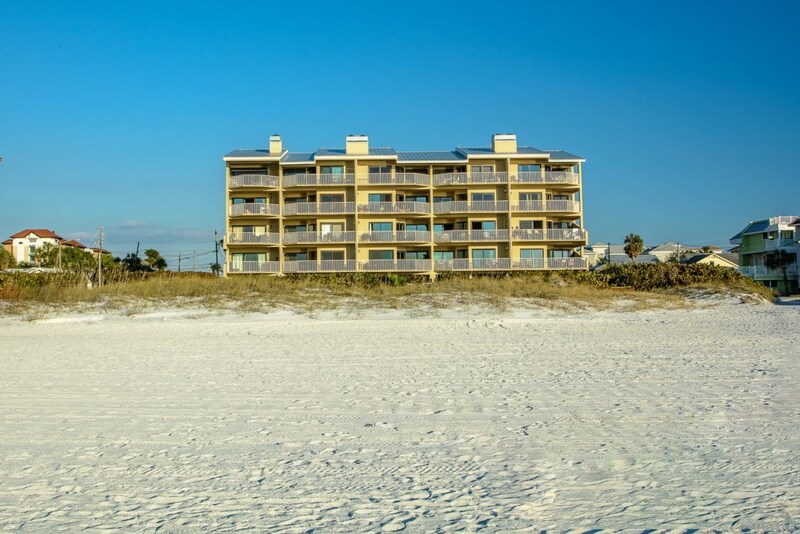 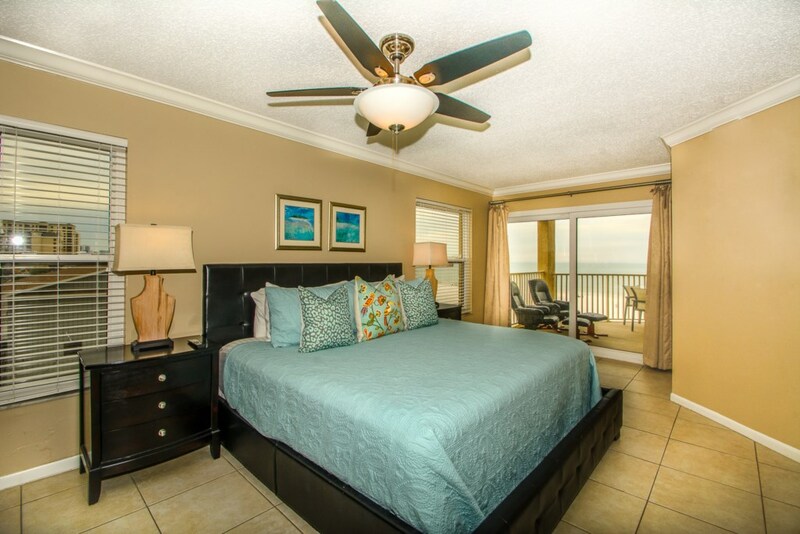 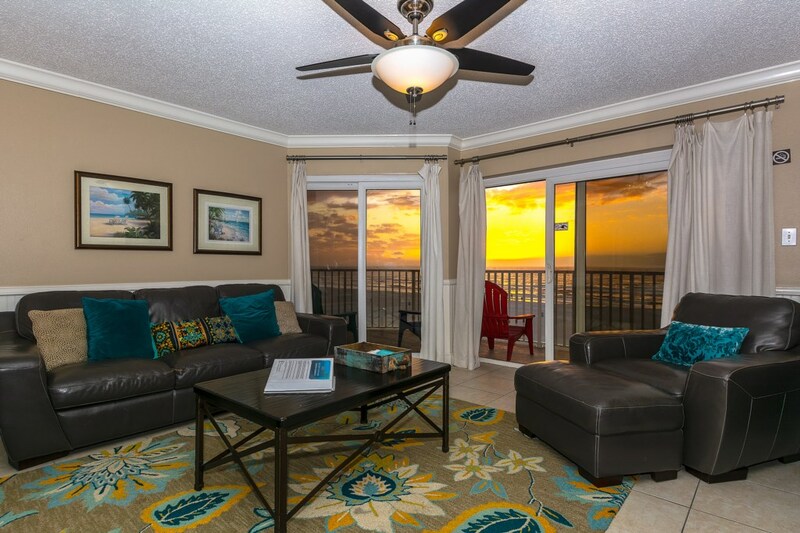 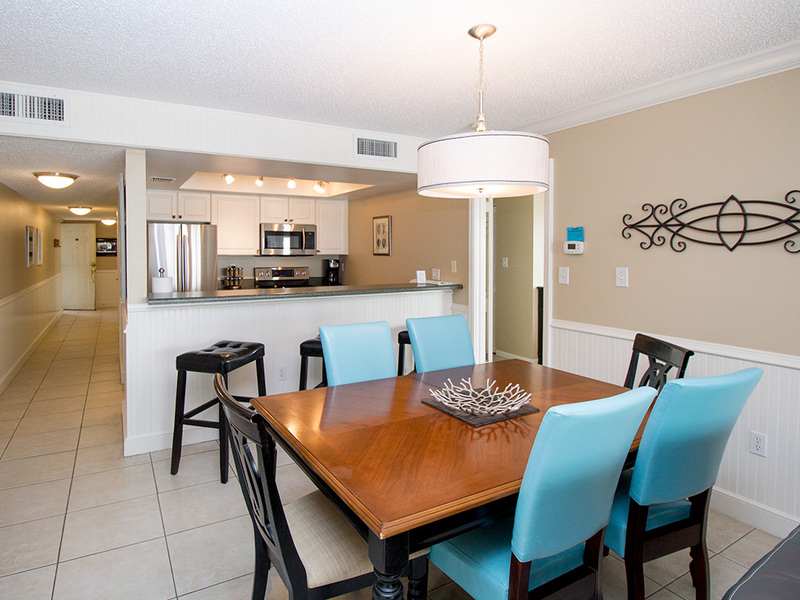 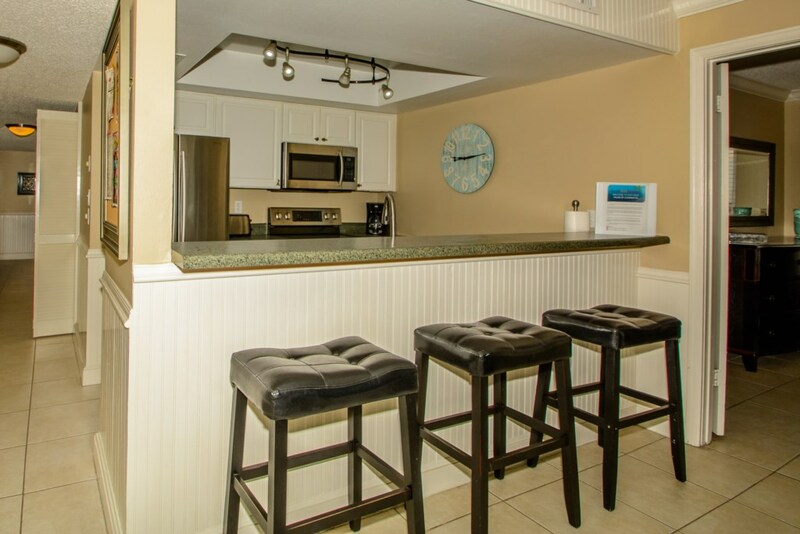 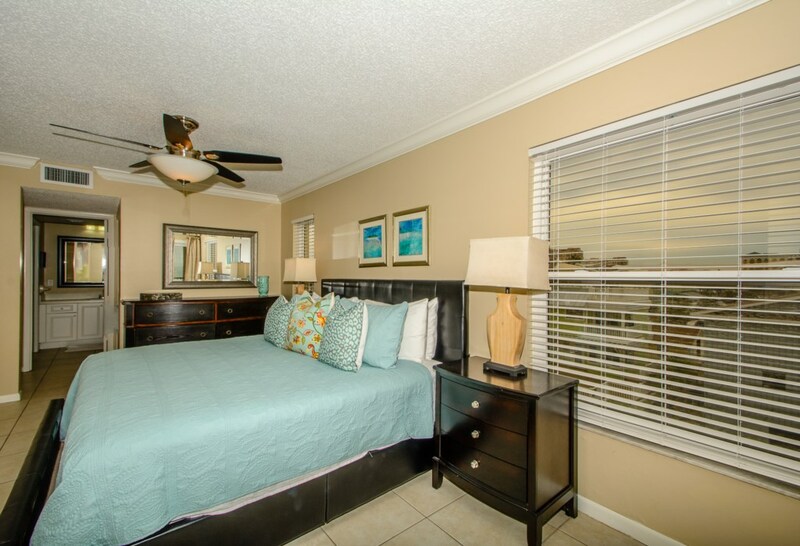 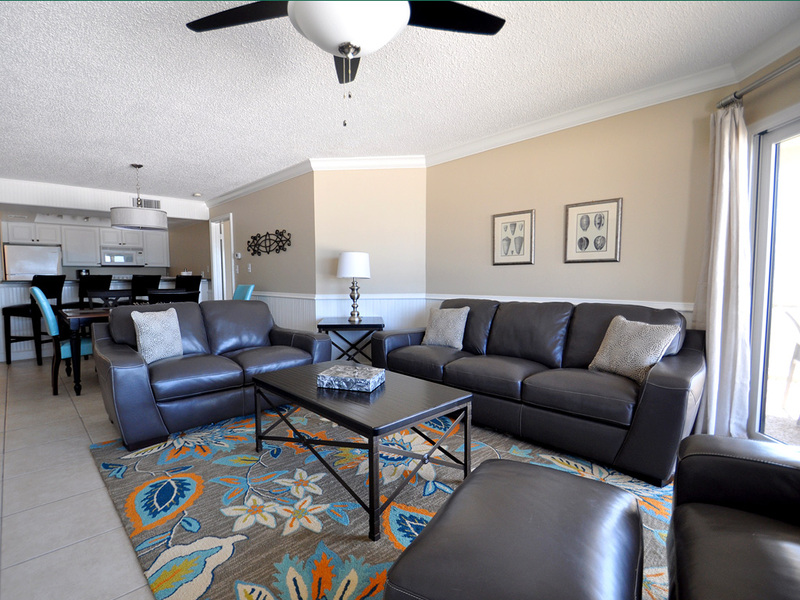 Our ocean front condo features an open floor plan comfortably accommodating 6 guests. 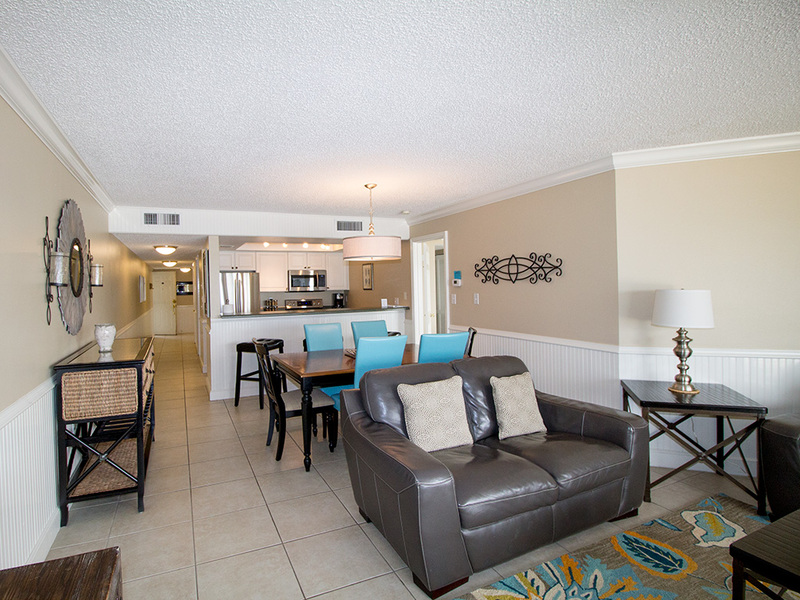 The living room has comfortable seating, flat screen tv, a fireplace and best of all it faces the ocean. 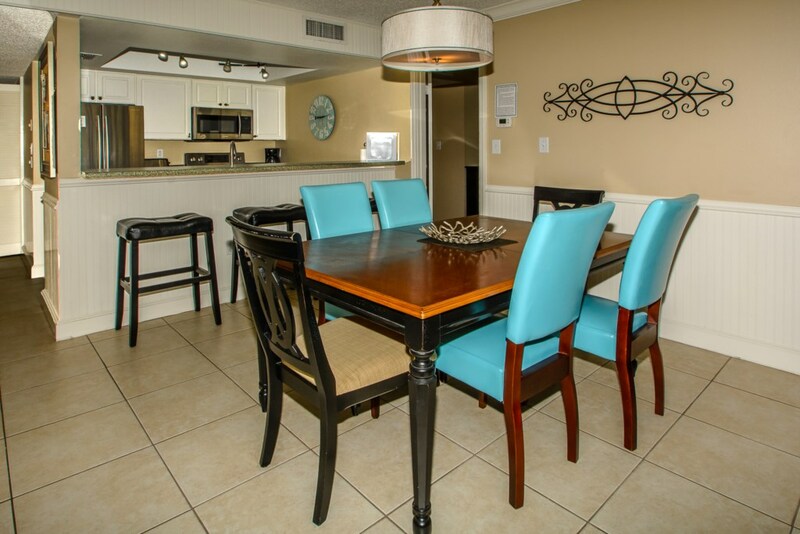 The dining area seats 6 and an additional 4 on the kitchen counter. 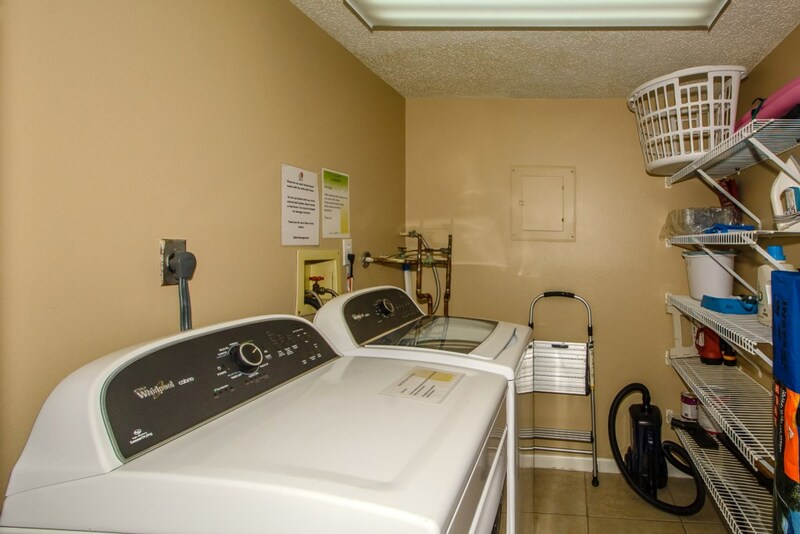 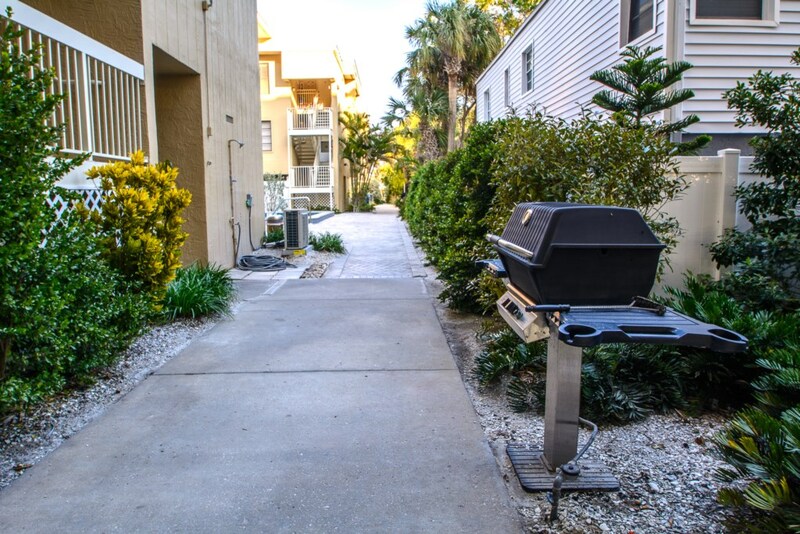 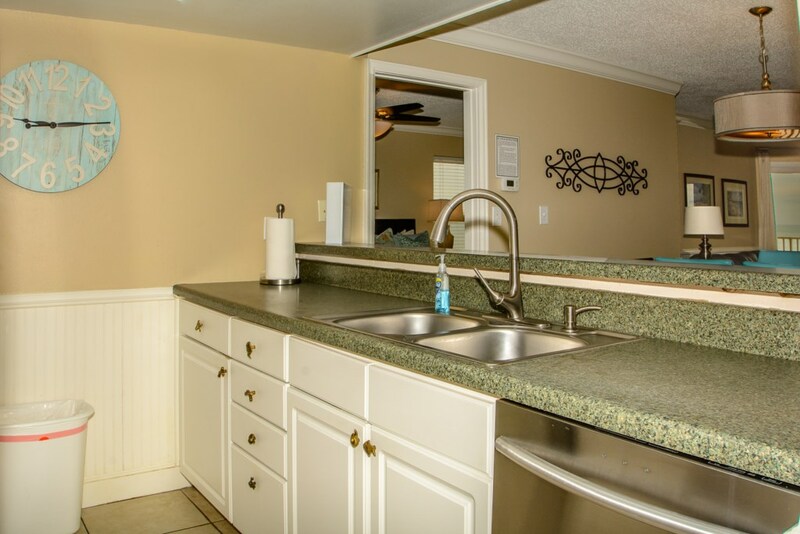 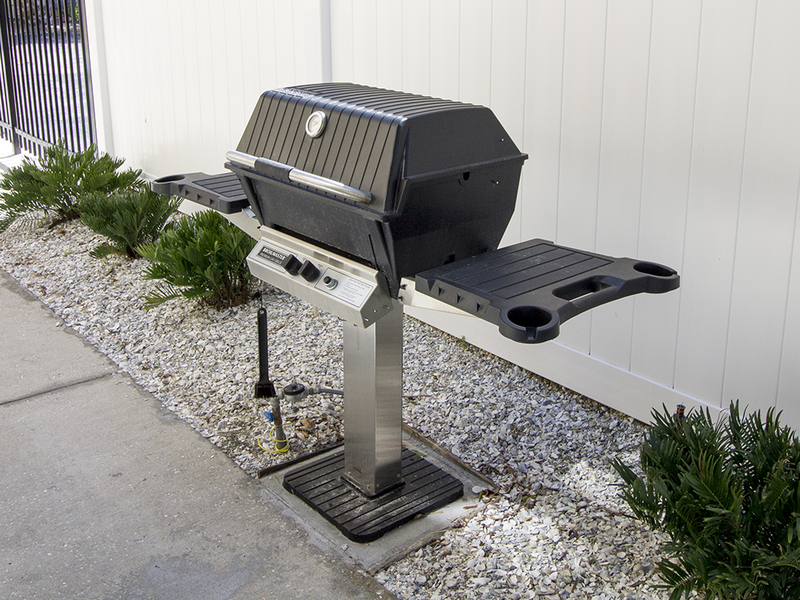 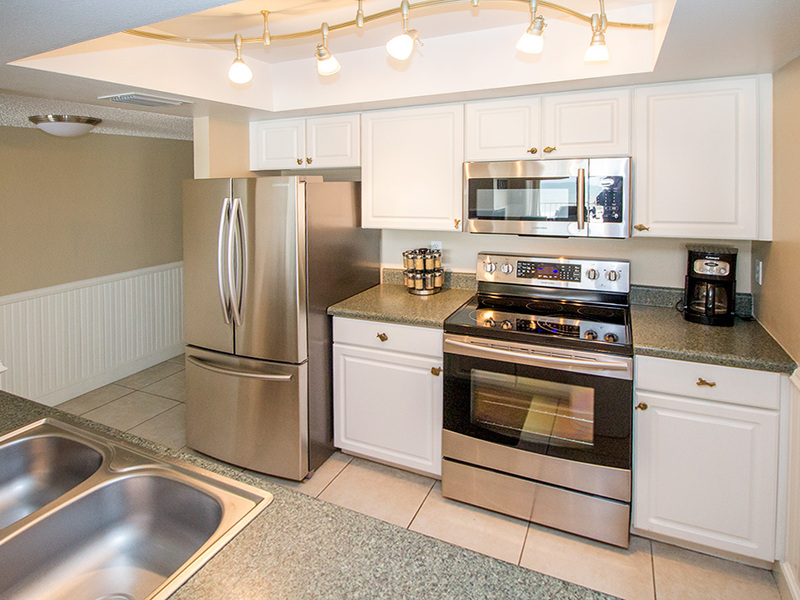 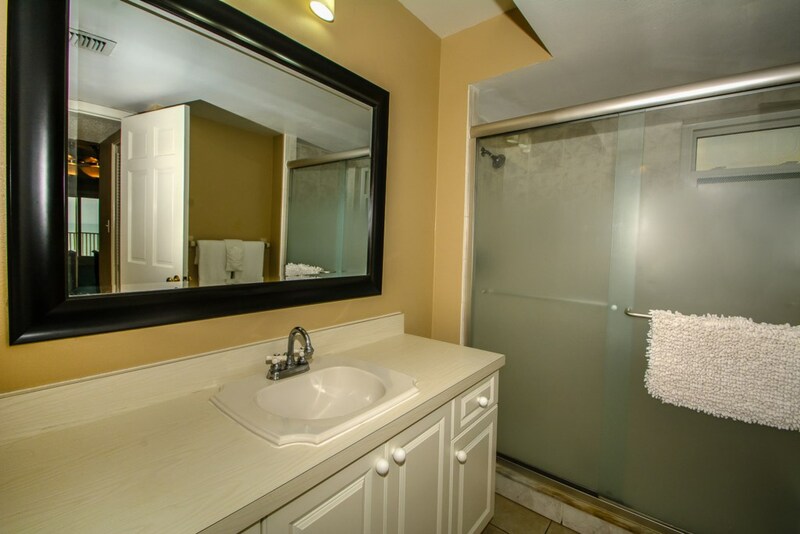 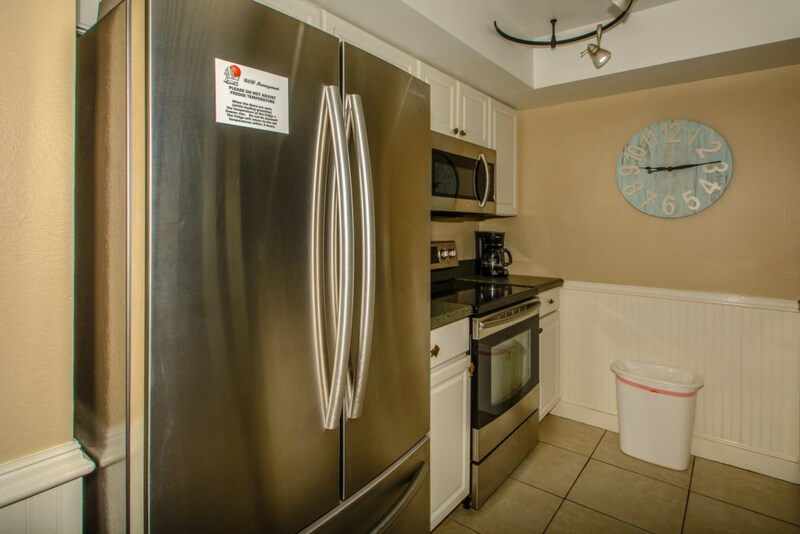 The fully equipped kitchen is completely upgraded with granite countertops and stainless steel appliances. 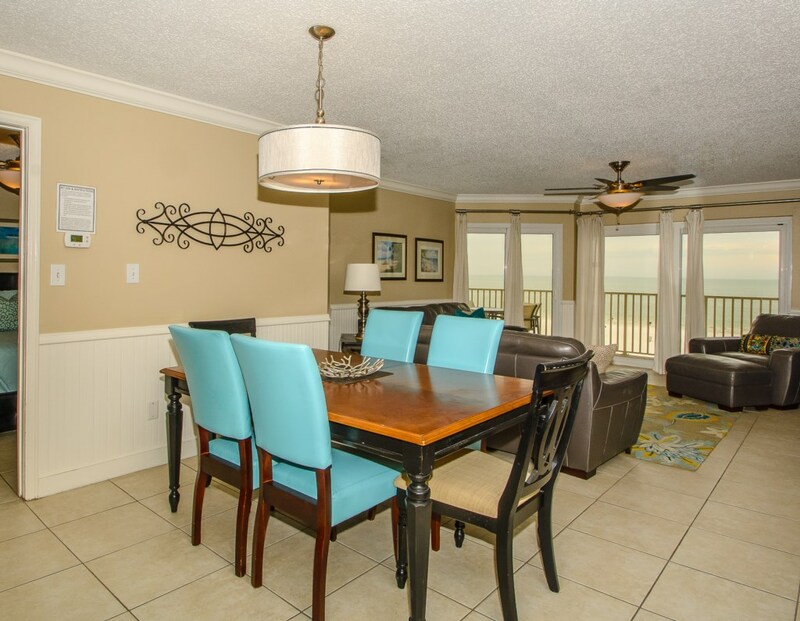 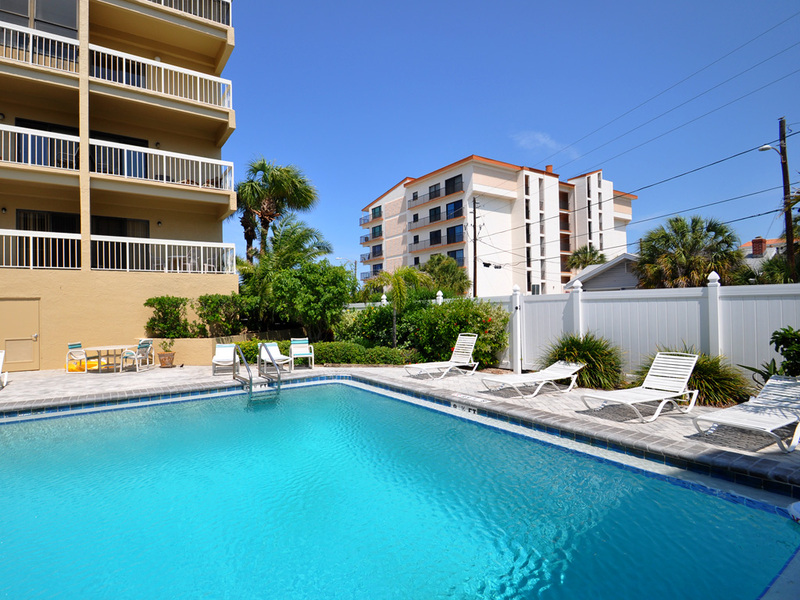 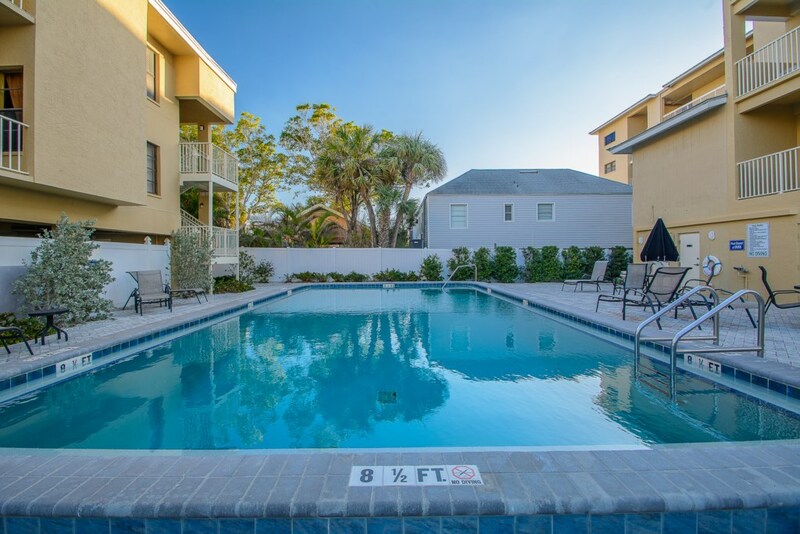 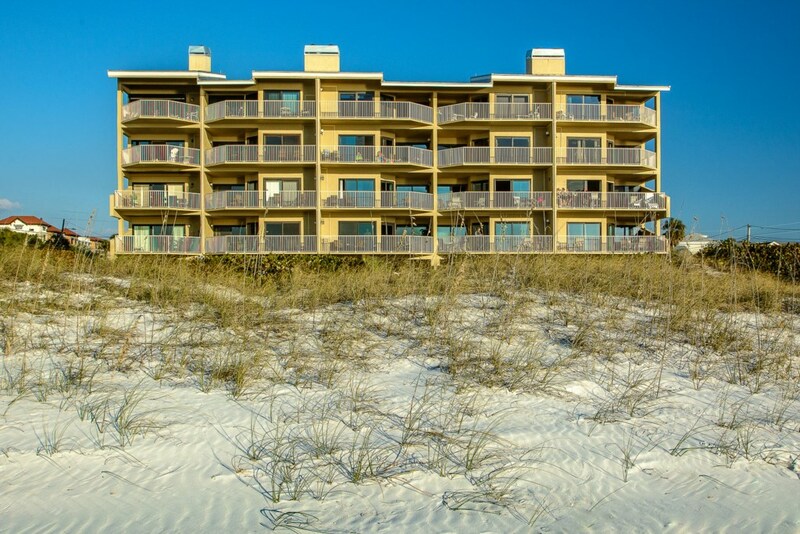 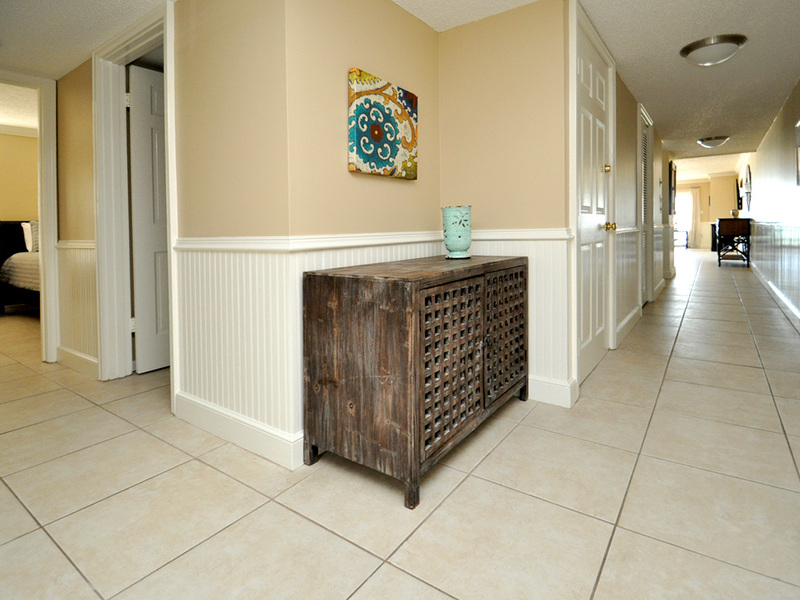 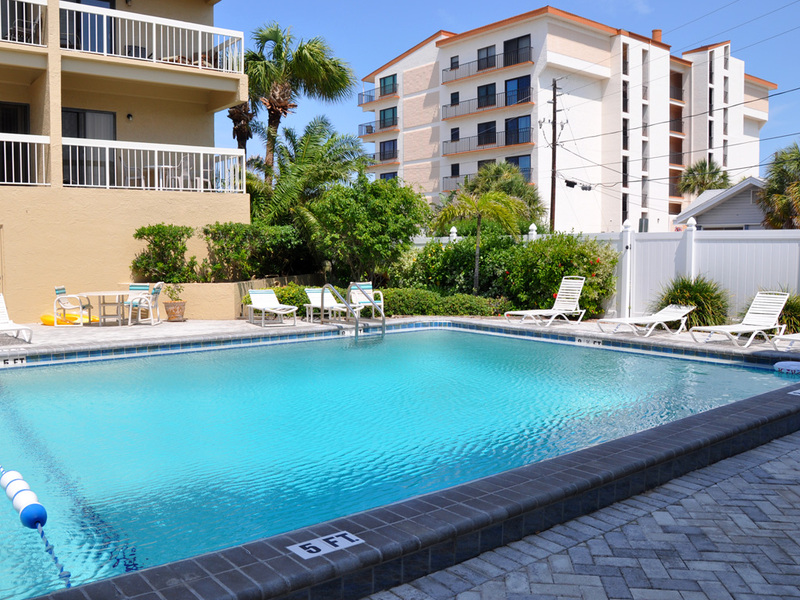 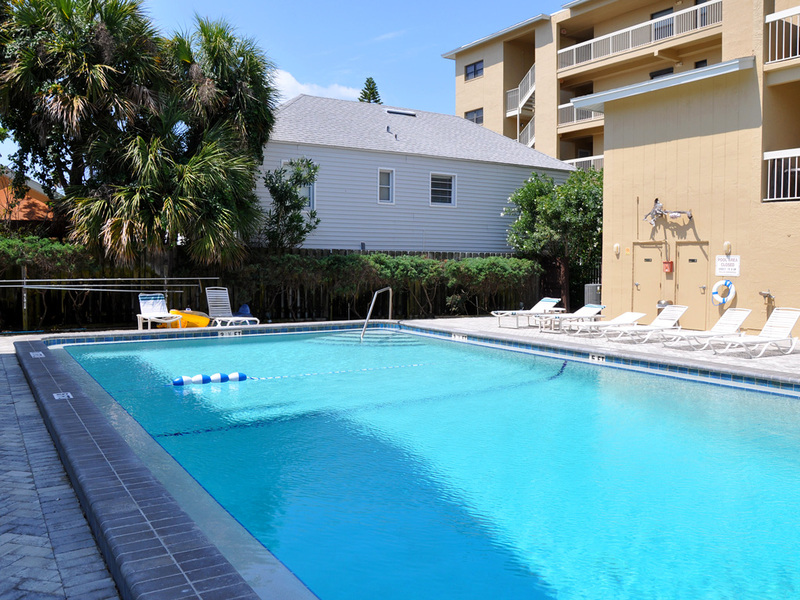 The spaces on this beach condo flow very well making it a very comfortable property to stay in. 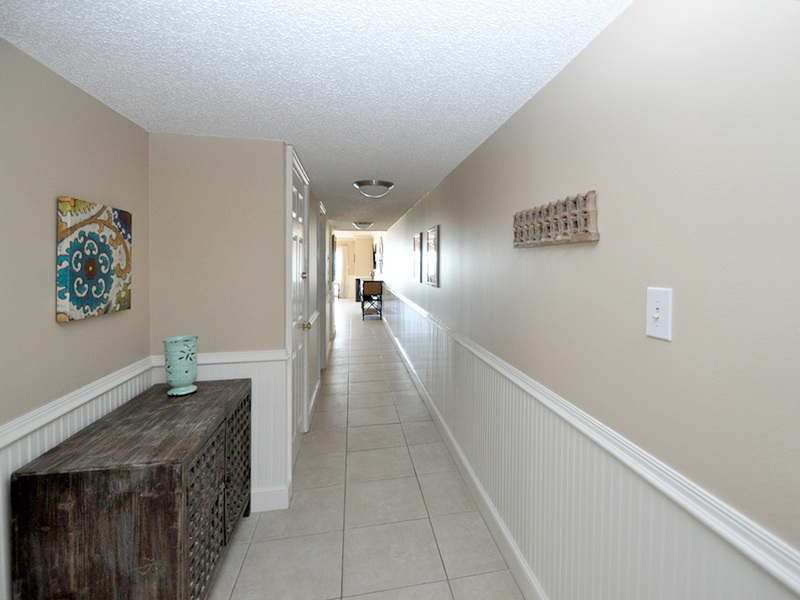 Neutral backgrounds, contemporary styles with bright colors is what defines this rental – Even the beautiful long hallways are decorated nicely with wonderful touches. 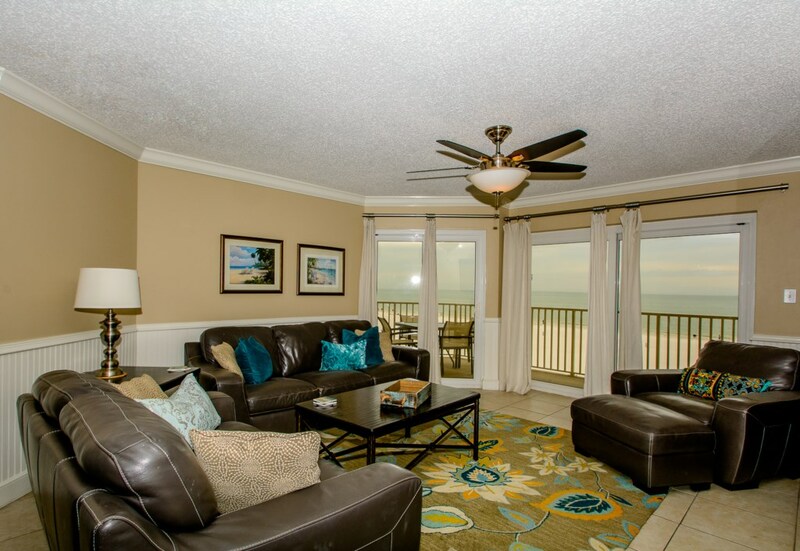 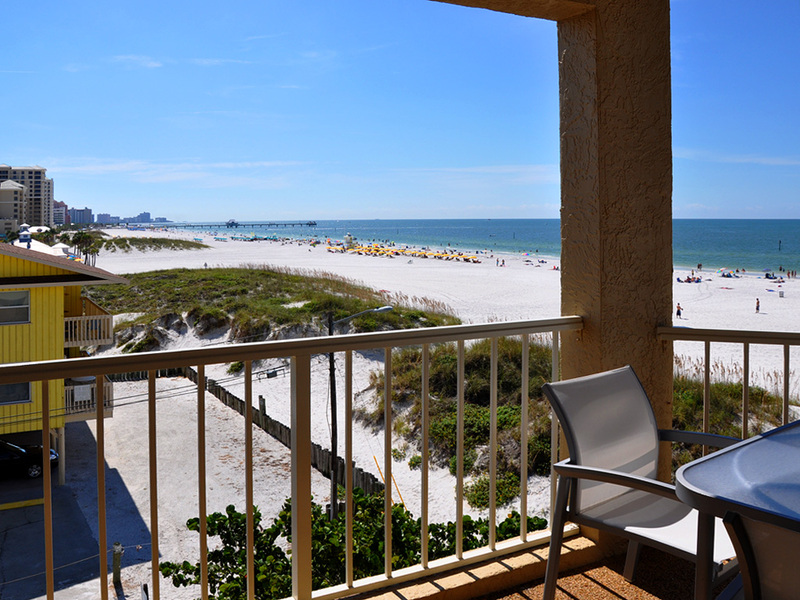 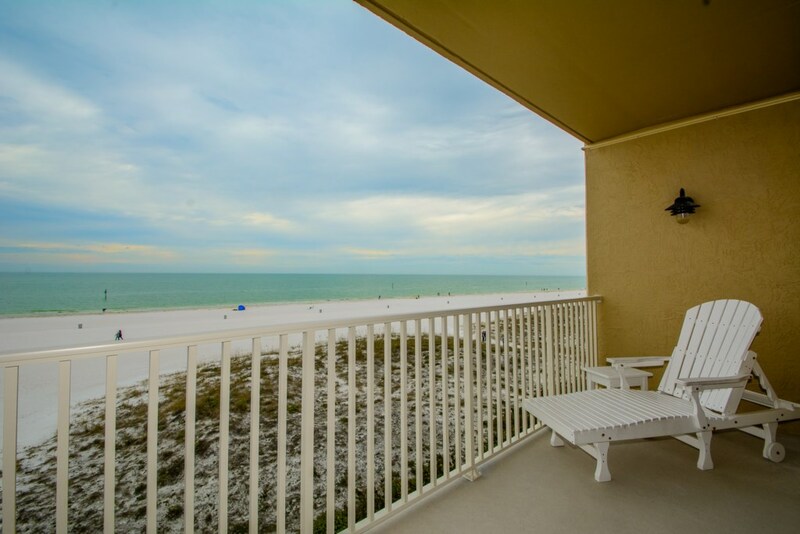 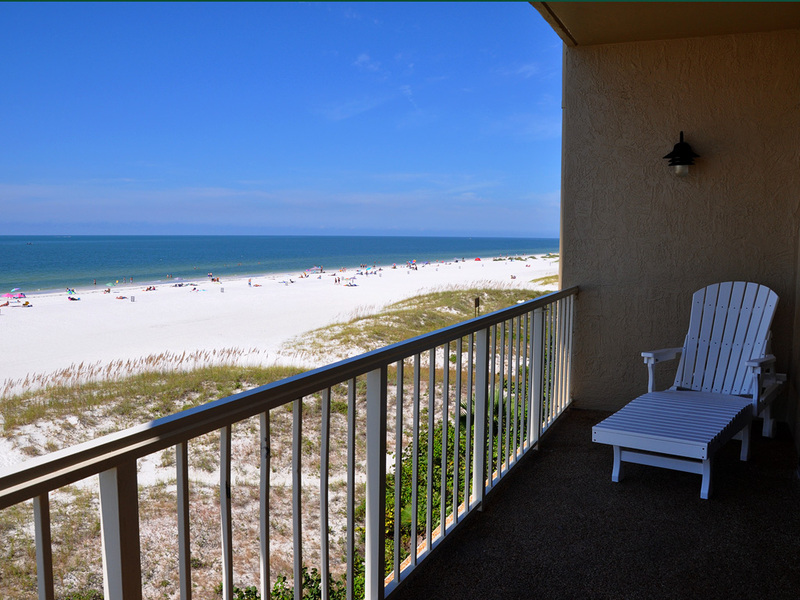 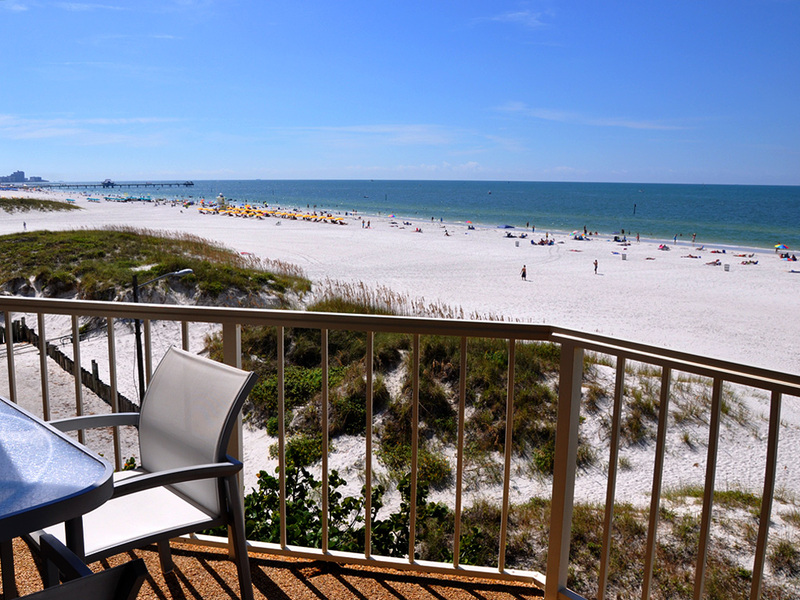 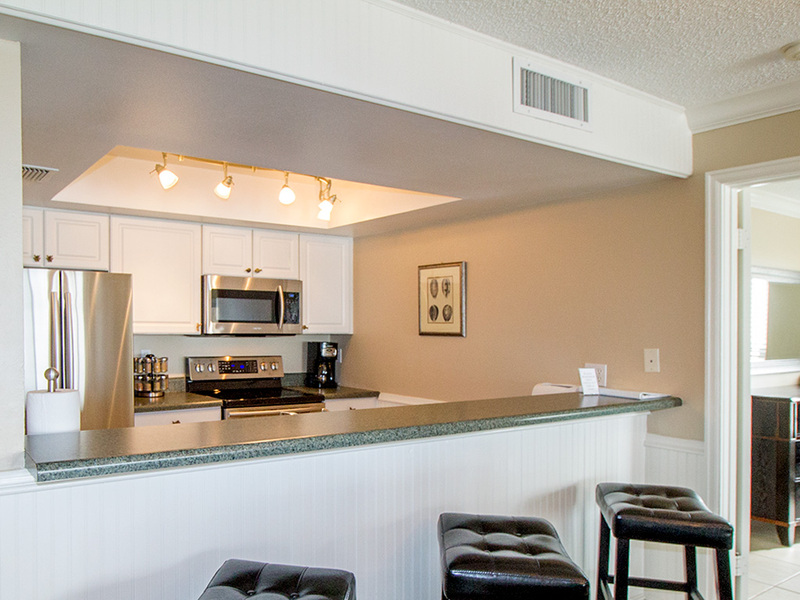 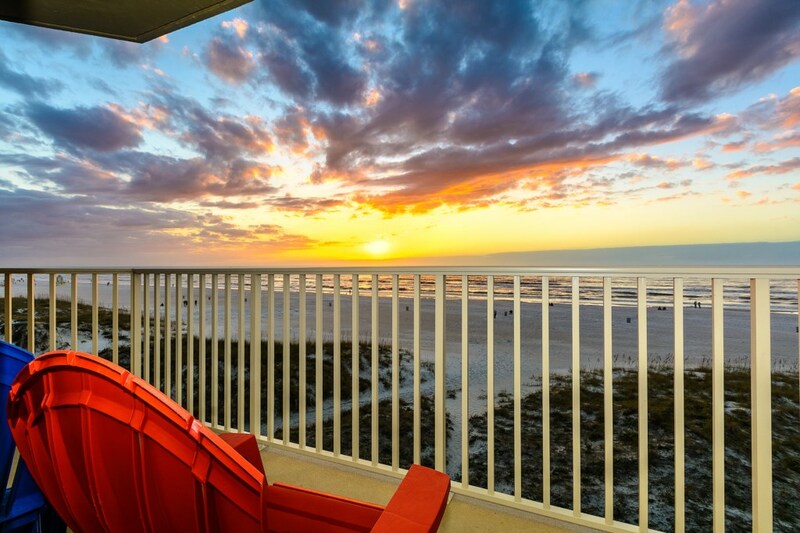 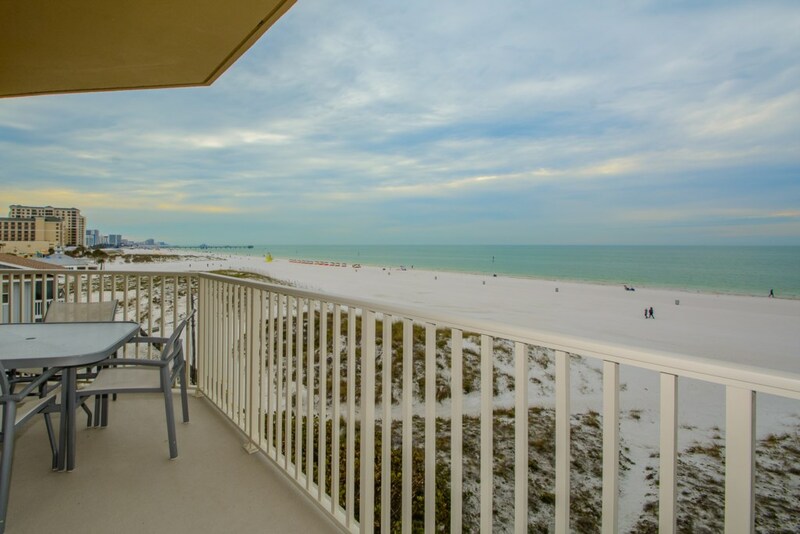 Our gulf front condo boasts 1400 sq ft of living space. 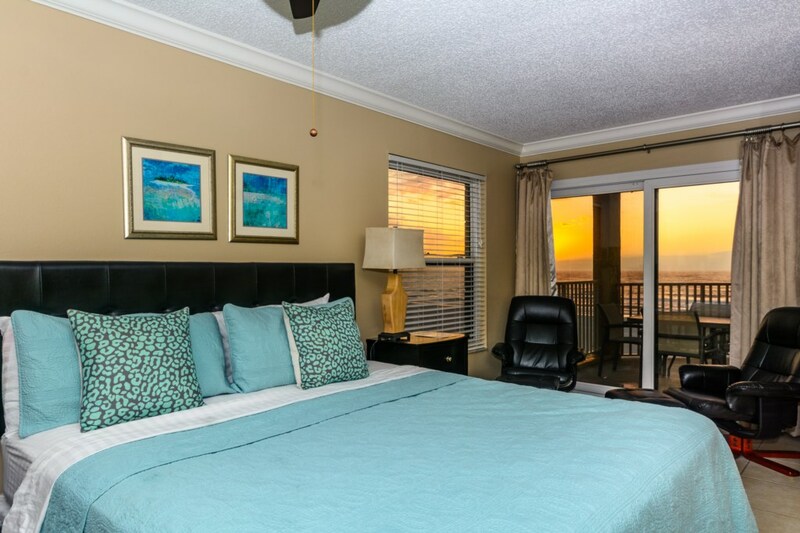 The master bedroom features a King size bed, flat screen tv, ensuite private bath and access to the large waterfront balcony. 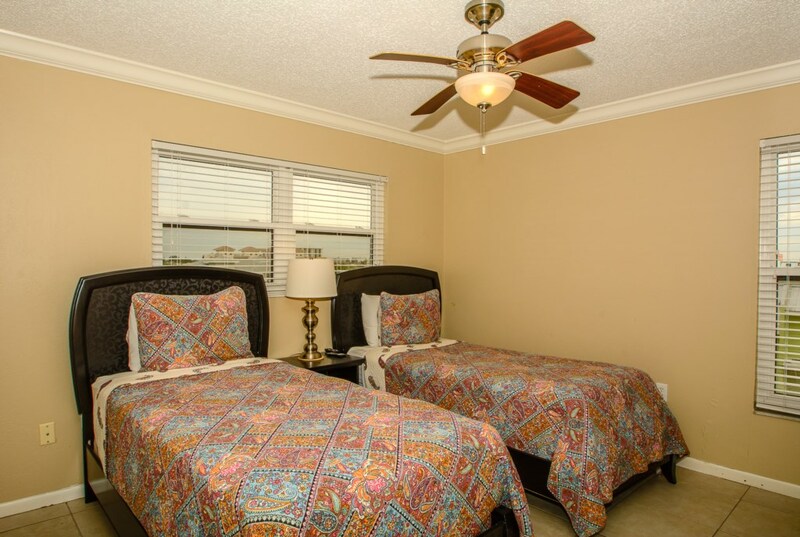 Second bedroom features two twin beds and third bedroom features a queen size bed. 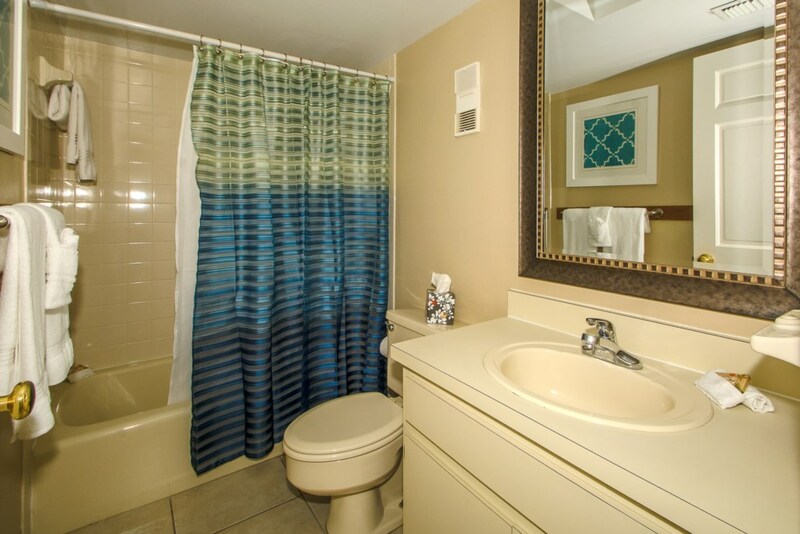 Second bedroom has a tub/shower combination. 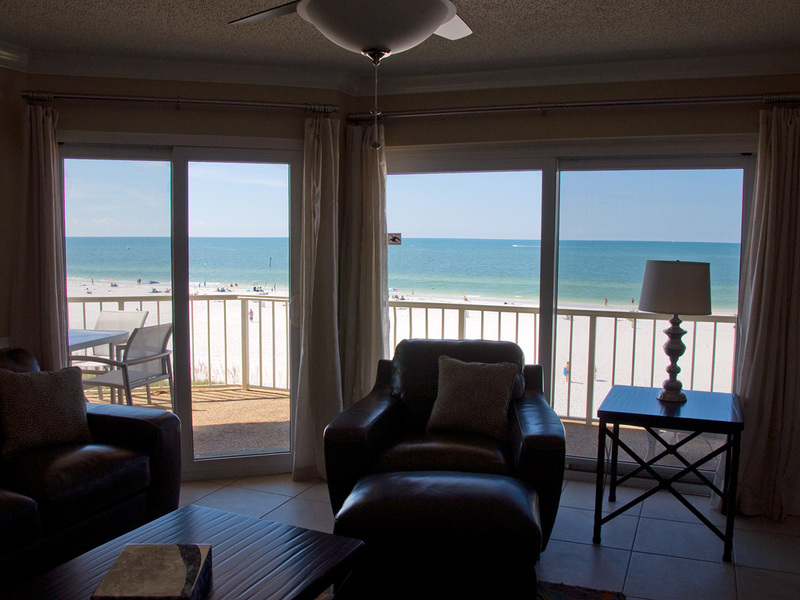 This gulf condo sleeps a total of 6 guests.